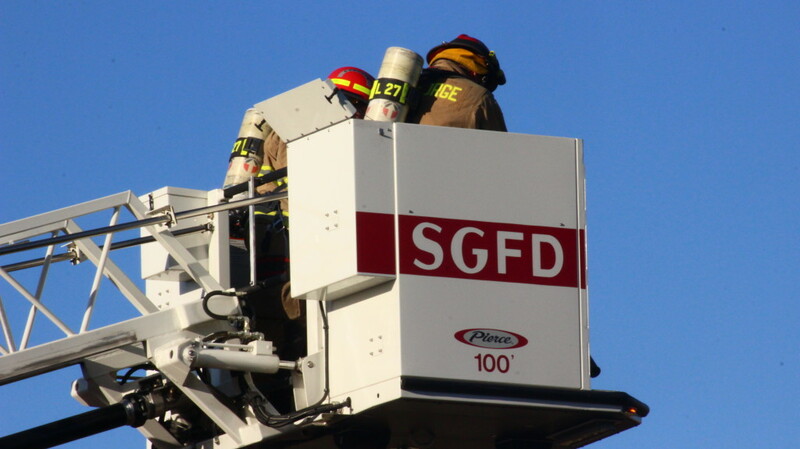 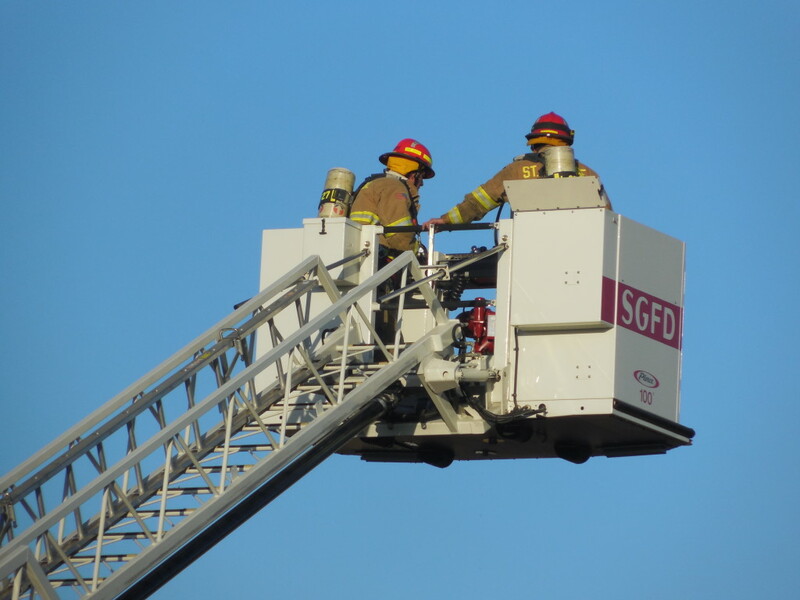 SANTA CLARA – An early morning fire in the attic of a home in Santa Clara drew a rapid emergency response Friday morning involving multiple departments. 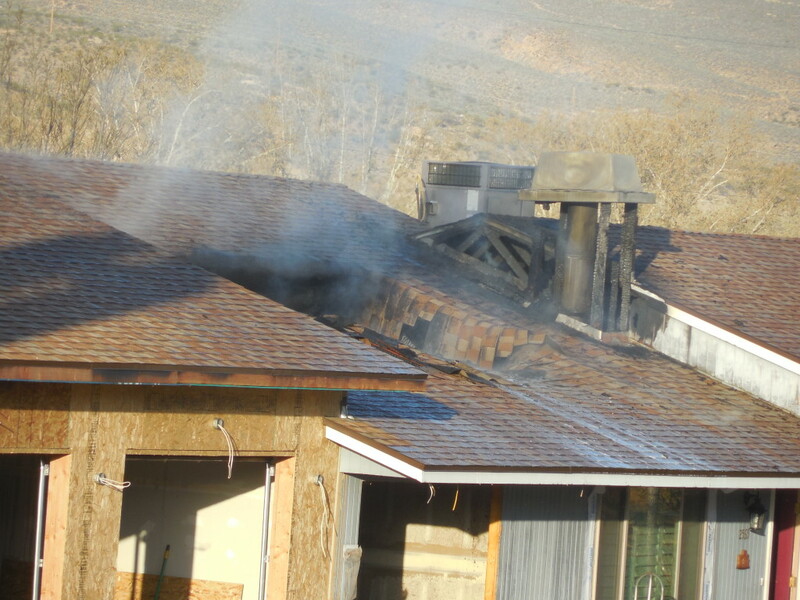 The fire left two residents without a home. 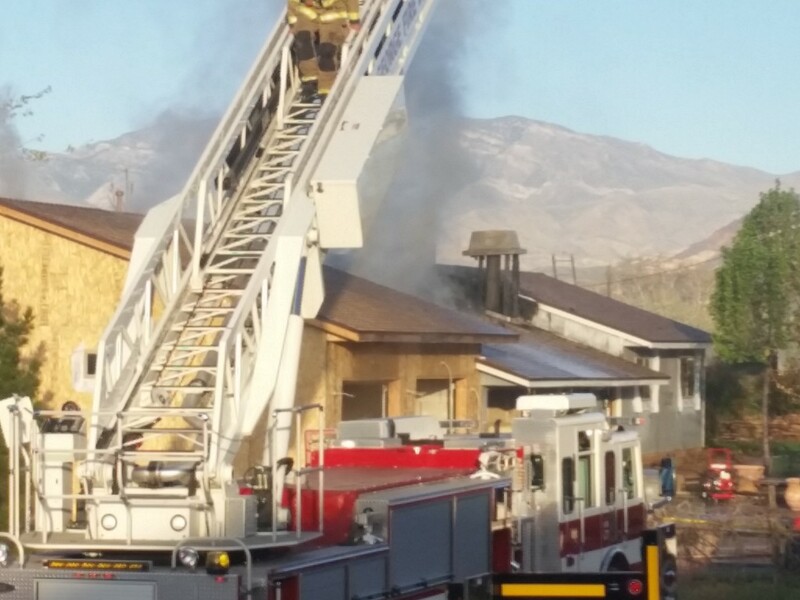 Firefighters responded to reports of a fire at the junction of Peach Circle and Heights Drive in Santa Clara at approximately 7:45 a.m., Santa Clara Fire Department Chief Dan Nelson said. 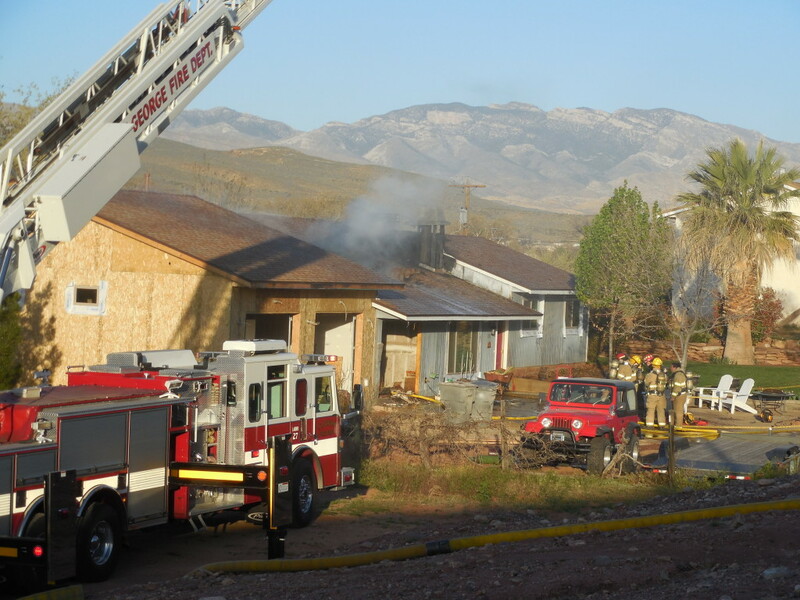 A passerby first noticed the blaze and notified the residents. 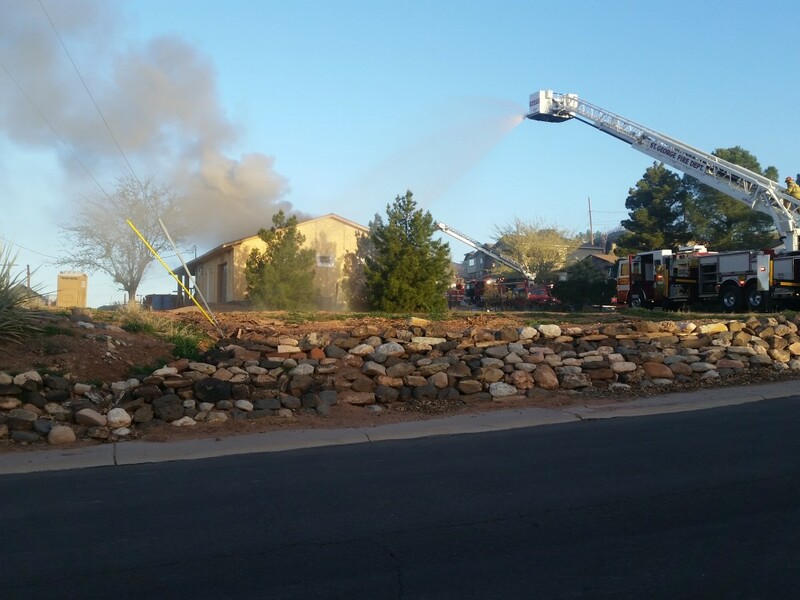 Two occupants and their dog were inside the house at the time and were able to exit the house without injury. 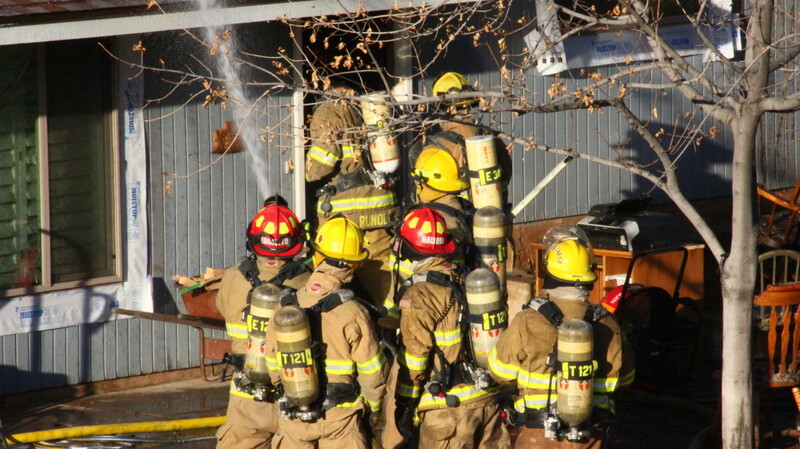 The fire was fully involved when firefighters arrived. 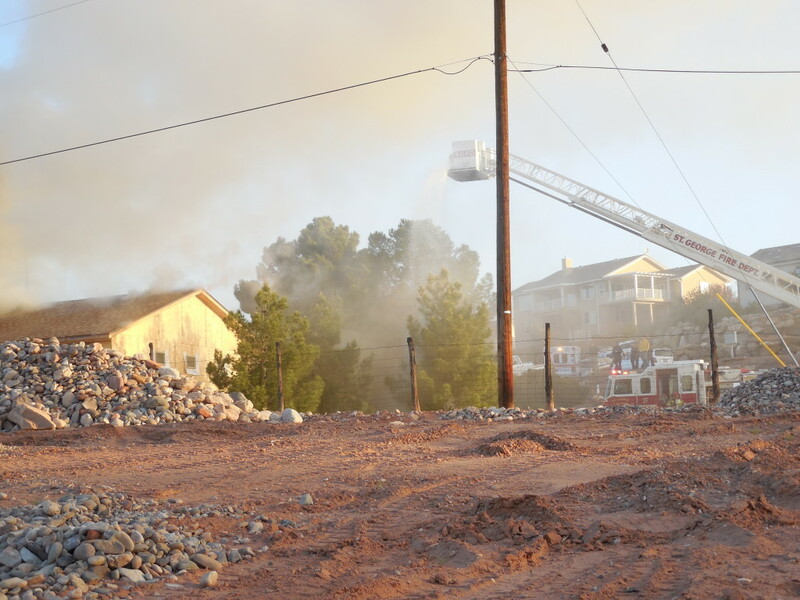 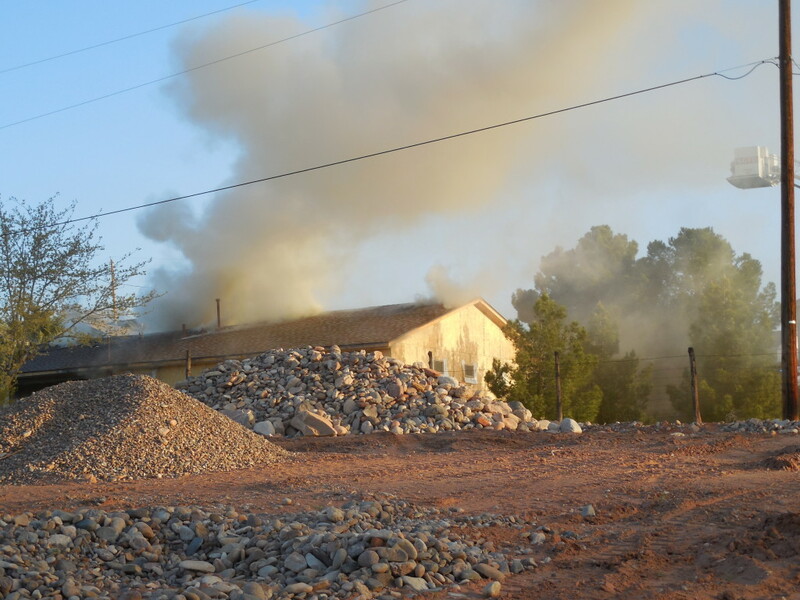 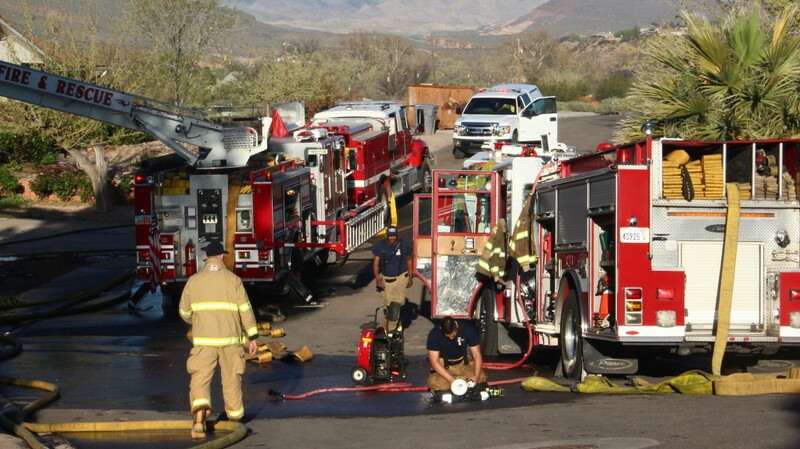 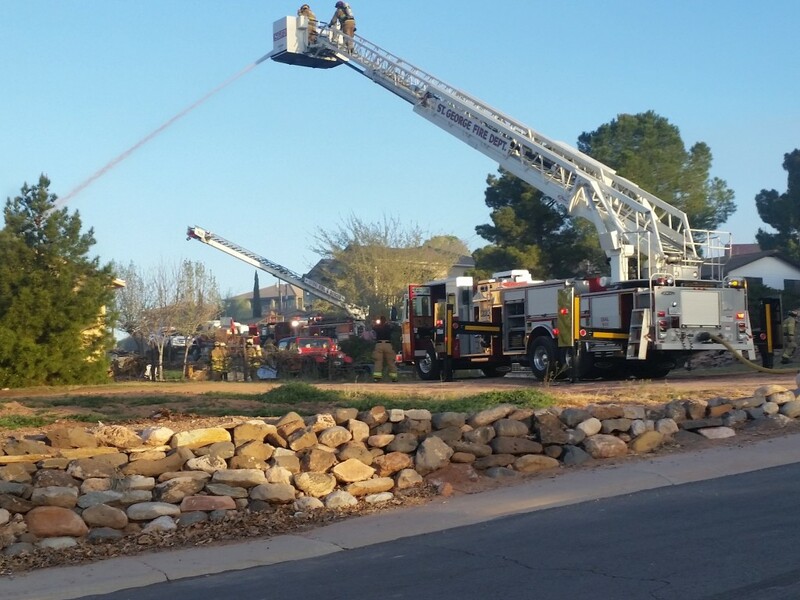 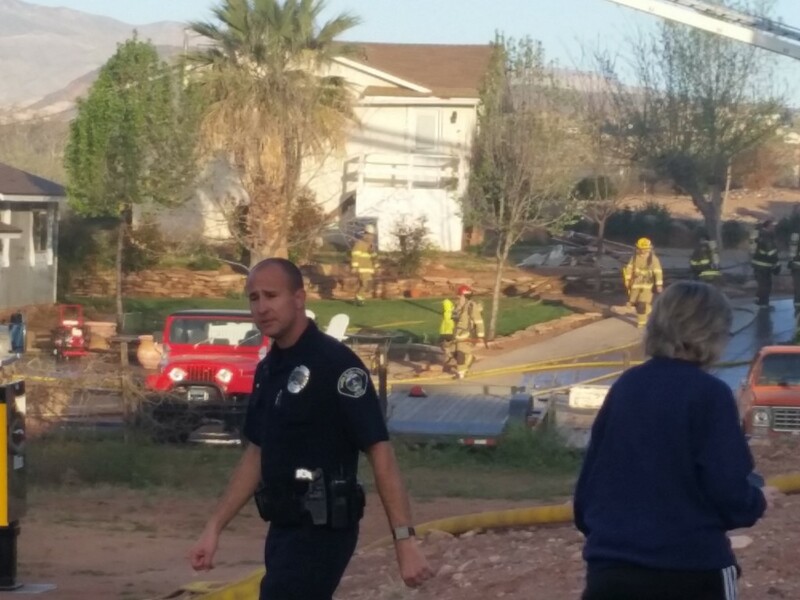 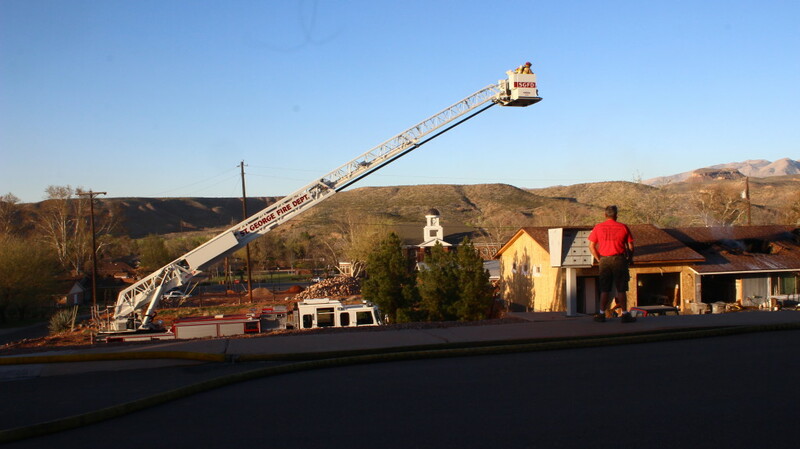 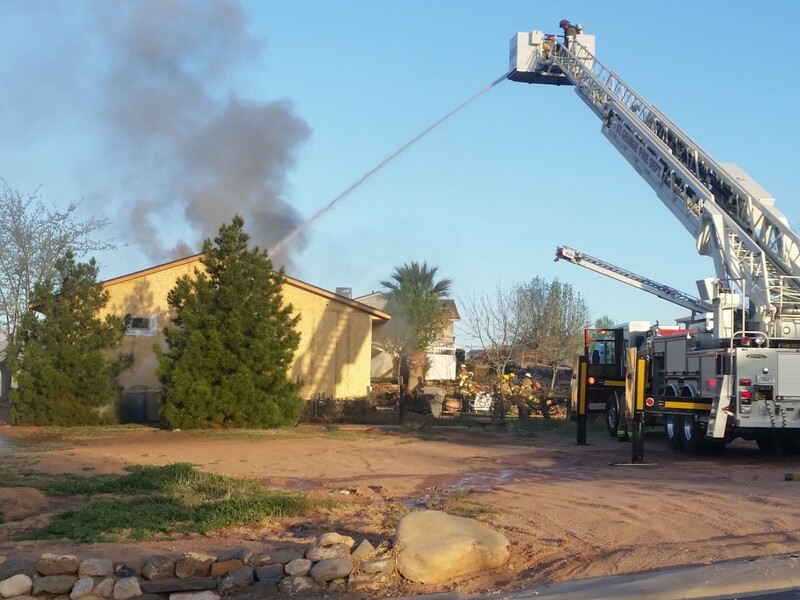 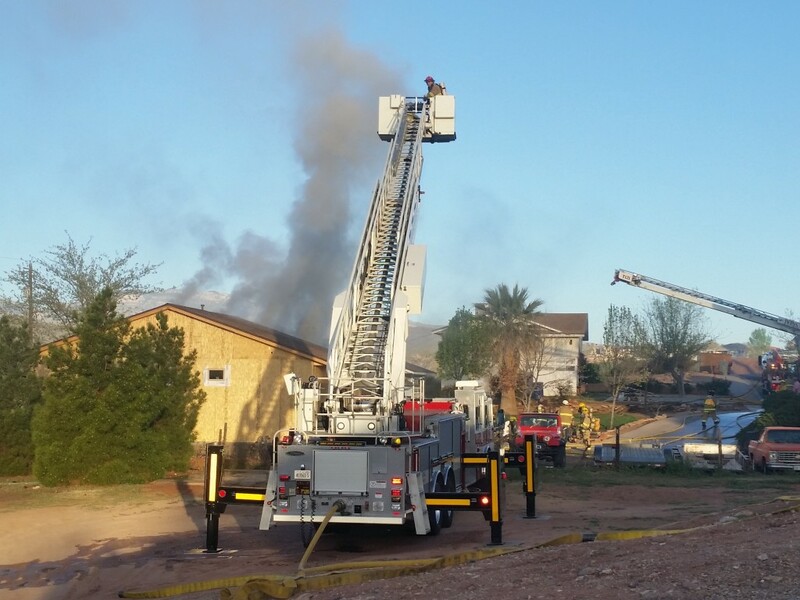 A call for mutual aid was issued, and both St. George Fire Department and Ivins Fire Department responded. 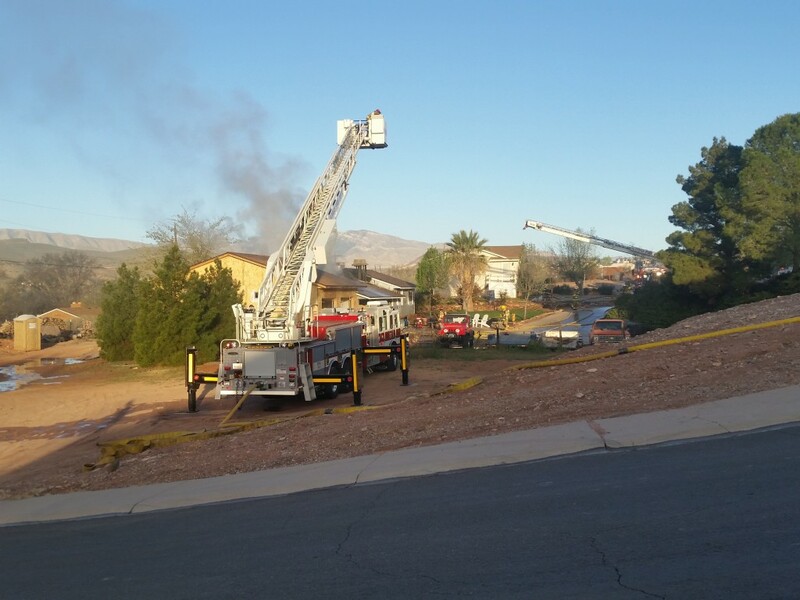 A total of five fire engines and two ladder trucks with approximately 30 emergency personnel arrived on scene. 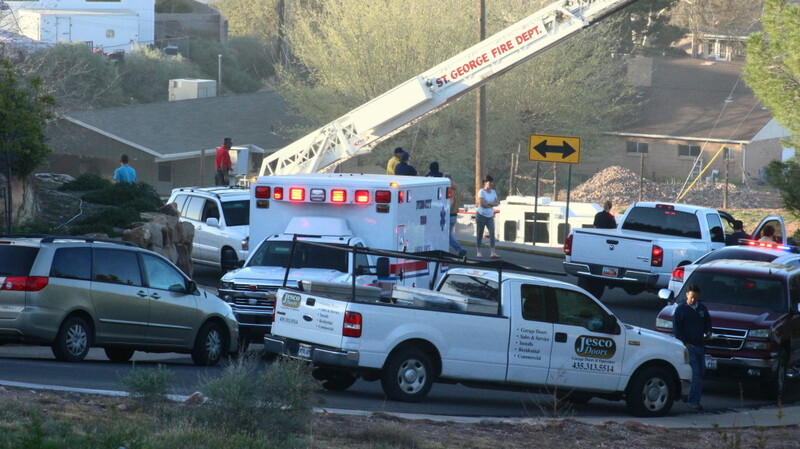 Santa Clara-Ivins Police Department was also on hand, as was the Ivins Ambulance service. 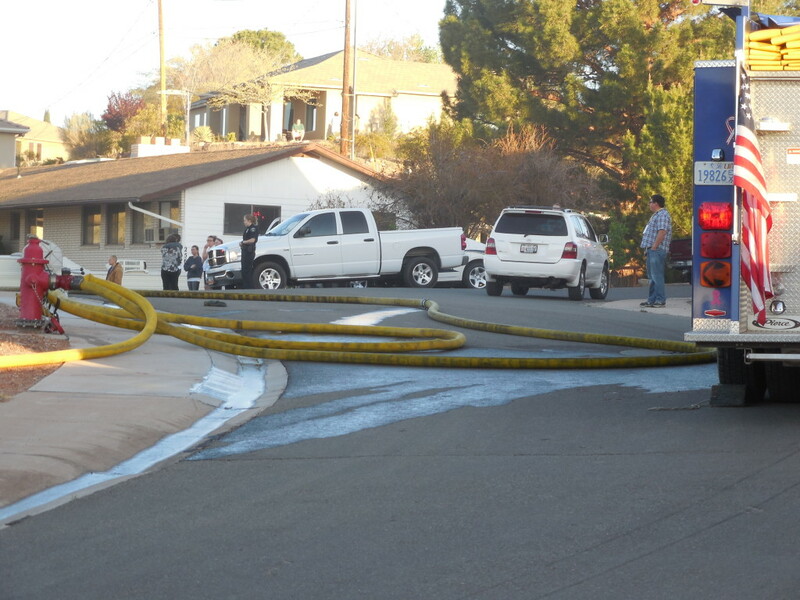 Authorities shut down Heights Drive for several hours while firefighters worked to extinguish the fire. 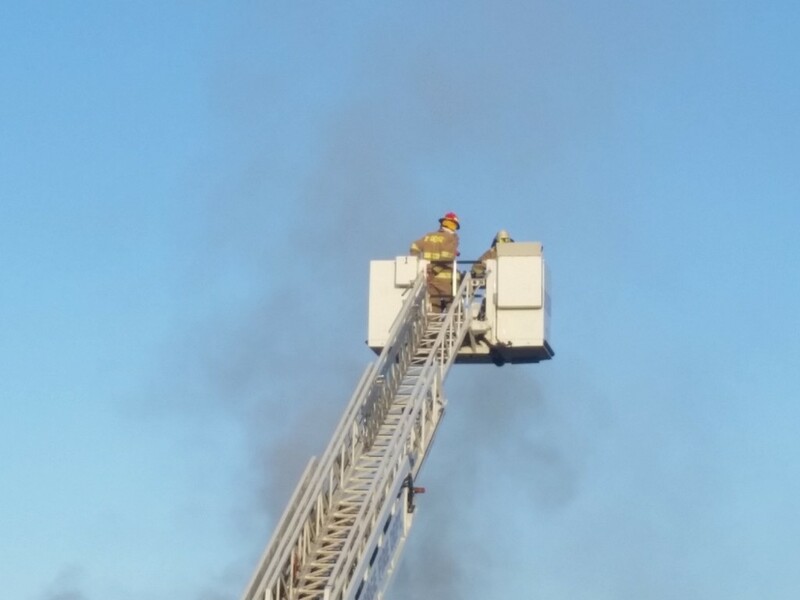 A ladder crew was positioned above the fire but was ultimately not used. 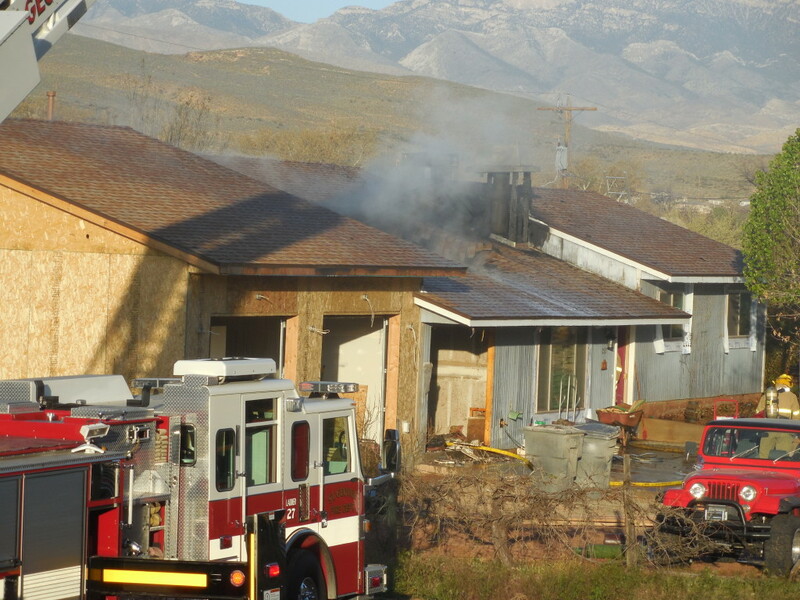 This was the second large house fire in Santa Clara in as many days. 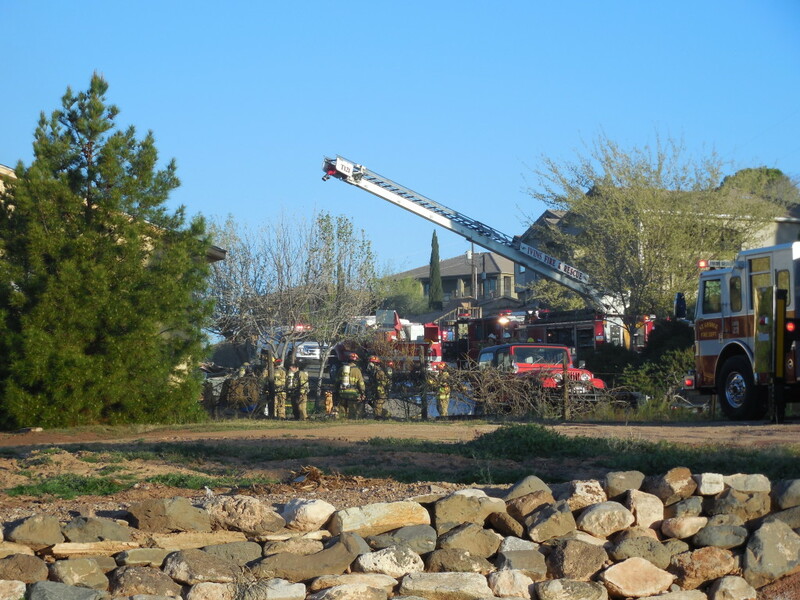 Early Thursday morning, a house fire on Vineyard Road displaced 10 residents and also required a large emergency response. 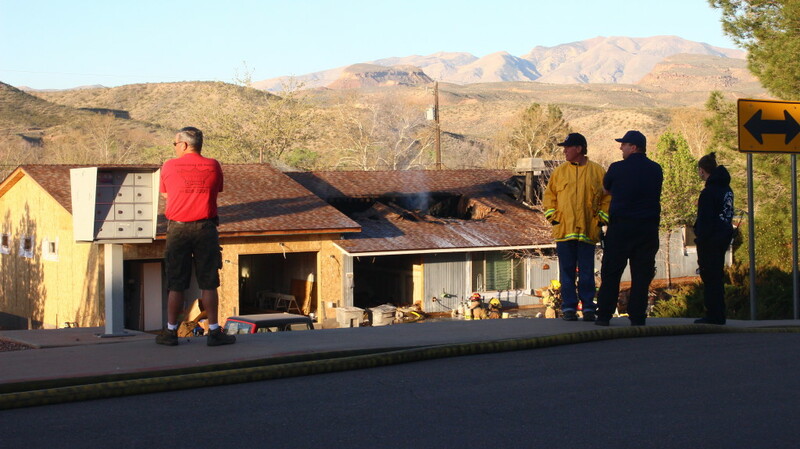 “Our crews are pretty tired from yesterday, but they made a really good, aggressive interior attack and were able to salvage most of the house,” Nelson said. 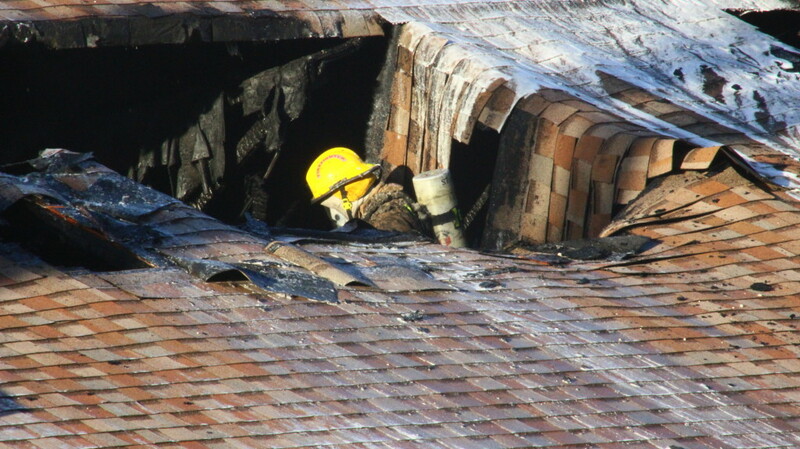 While it was too early in the investigation to give concrete numbers for damage, Nelson said he estimated about 50 percent of the house was damaged in the blaze. 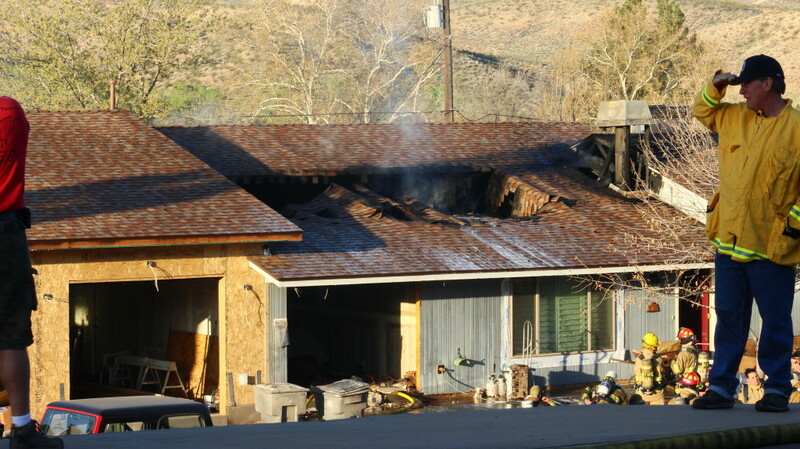 The homeowners did have home insurance and a place to stay. 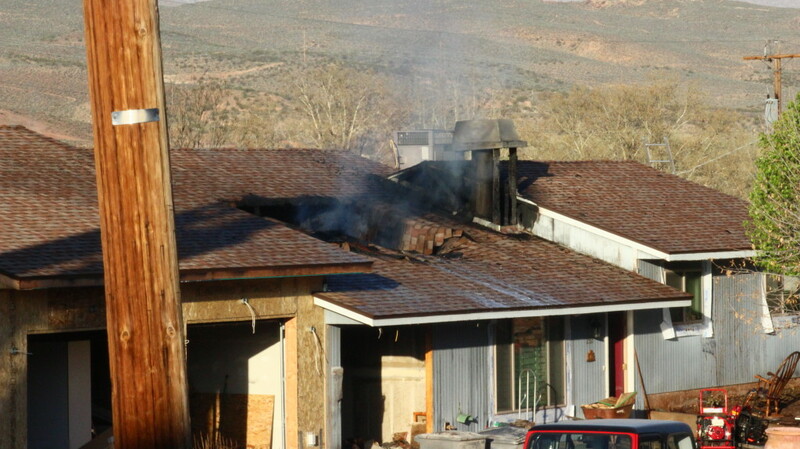 However, Red Cross was going to check with the homeowners and make certain they had everything they needed.